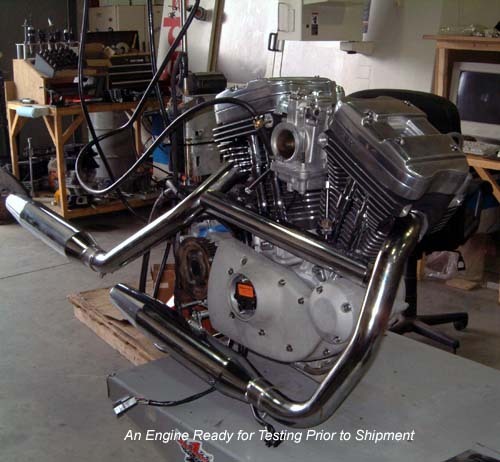 At HAMMER PERFORMANCE, we have the expertise, equipment, and experience to provide virtually any machine shop services your Sportster or Buell might need! 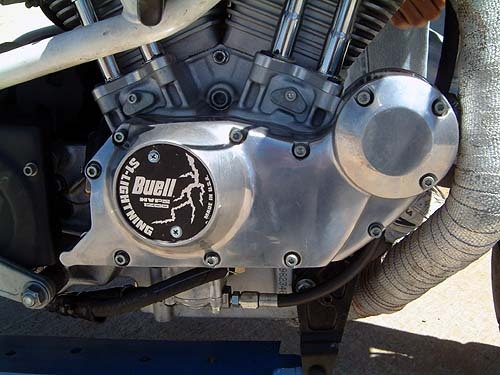 We are the EXPERTS in servicing Sportster & Buell heads! 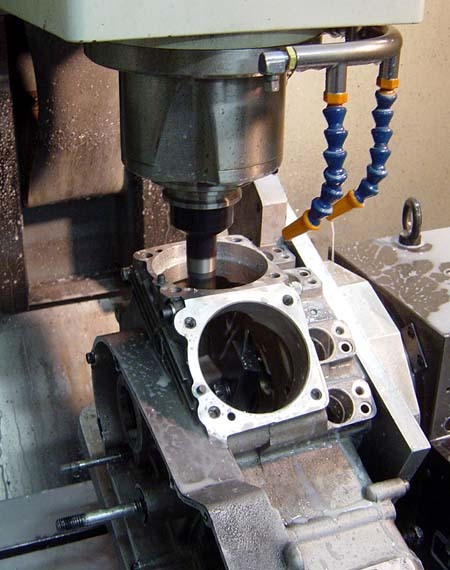 We start this process by cleaning your head and base gasket surfaces thoroughly. We then clamp each cylinder into our specially designed fixture with a torque plate and bore it in a precision CNC Machine (see the video below). 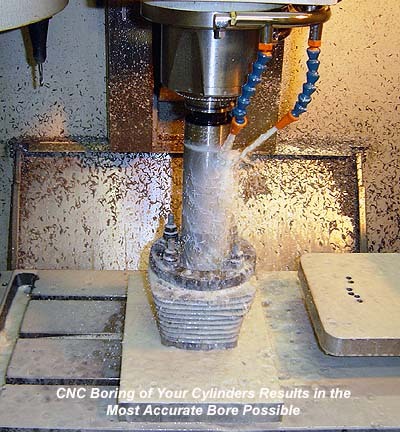 Unlike most boring processes, our double sided boring head ensures a perfectly round bore because the cutters remain evenly loaded through the entire process. Coolant is constantly sprayed into the bore to eliminate distortions caused by heat and provide a smooth, even cut. 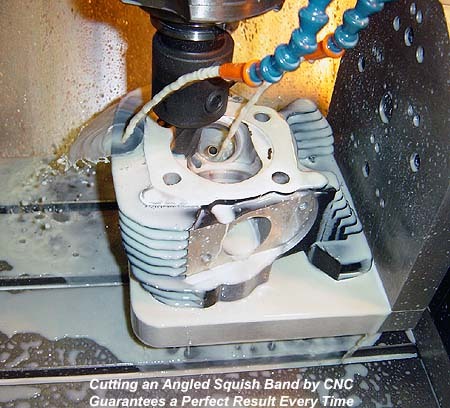 If you want the highest quality cylinder boring and honing service for your Sportster or Buell, matched to the best pistons you can buy, look no farther than HAMMER PERFORMANCE! Your great engine kit, head porting, and cams will do nothing for you if your stock intake manifold chokes the air flow into your engine. 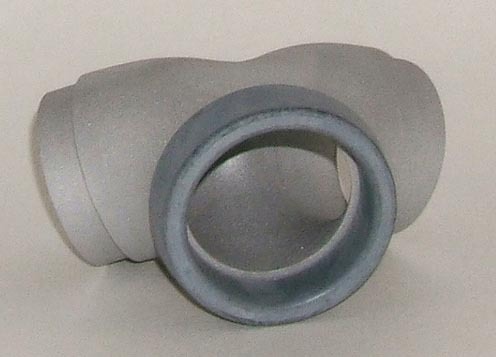 Let HAMMER PERFORMANCE remove this bottleneck with our intake manifold porting service. We'll shape and size the inside of your intake manifold for maximum cylinder fill and leave a surface finish that encourages fuel mixing and atomization. A must for high performance projects. Let us build your street or race engine! High performance engines require special checks and procedures that dealership techs aren't always familiar with. Factory engines are engineered to be assembled but performance engines need a whole lot more attention to detail. 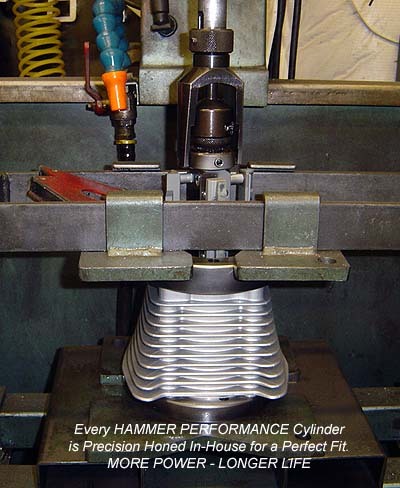 At HAMMER PERFORMANCE, we have the tools, knowledge, and experience to do every procedure correctly, from truing your flywheel assembly to clearancing your cam boxes. We'll get every clearance correct from the flywheel end play to the piston to valve clearance. We know all the tricks to get everything out of the motor both in terms of power and longevity. Trust your engine build to HAMMER PERFORMANCE! Lose the fat! Let HAMMER PERFORMANCE cut down your Cam Cover! For that minimalist look, many Sportster & Buell owners like to trim off the excess material behind and below their cam box cover. Cutting it by hand is tedious and error-prone. 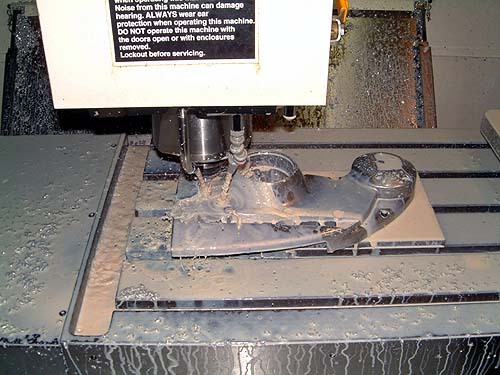 At HAMMER PERFORMANCE, we've got a fixture and a CNC program that does a PERFECT job every time. Send us your cover and we'll send it back professionally machined and ready for final clean up/polishing and installation. We offer this service either with or without the lower left dowel pin hole retained. We recommend keeping this dowel hole as it provides precise alignment to the cams.